UNM students will now have the opportunity to study with leading Mexican scholars, while UNM faculty and graduate students will be able to build research collaborations and lasting connections with the Mexican scholarly community. 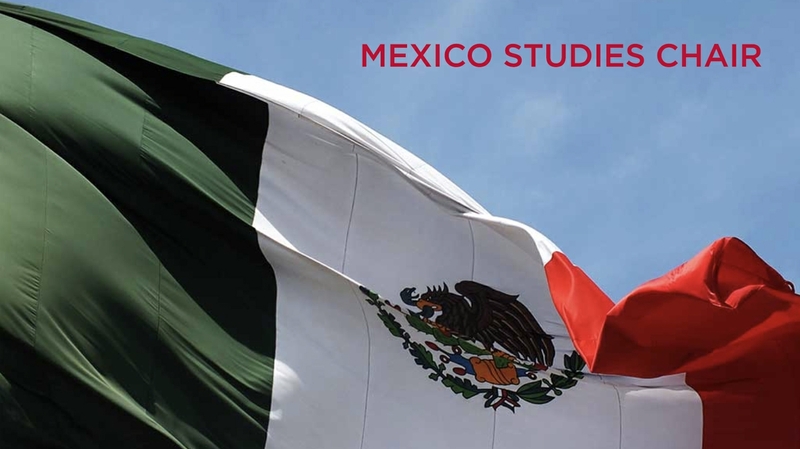 The Latin American and Iberian Institute (LAII) at UNM recently announced the establishment of the Mexico Studies Chair program, an initiative which will bring a senior Mexican scholar to the University for one semester each year to teach and conduct research. This four-year agreement was developed by the LAII in collaboration with the US-Mexico Commission for Educational and Cultural Exchange (COMEXUS), a nonprofit organization whose goal is to promote mutual understanding between Mexico and the United States by means of educational and cultural exchanges. Only three institutions nationwide join COMEXUS in bringing this program to their campus in 2018: UNM, University of Chicago, and University of Southern California. Each year, a Mexican scholar will be recruited widely from among the humanities, social sciences, and the arts, and will be selected jointly by COMEXUS and LAII. "This is a tremendous opportunity for UNM departments to build scholarly connections with Mexico, and to learn from scholars who study various aspects of Mexican society and culture firsthand," said Bill Stanley, director of LAII. "I particularly want to acknowledge the vital role played by UNM's Global Education Office and its representative in Mexico, Valerie Carenas, in helping to bring this new initiative to UNM." The program furthers the LAII's mission to create a stimulating environment for the production and dissemination of knowledge of Latin America at UNM, and is co-funded by the COMEXUS Fulbright-García Robles program and the LAII.